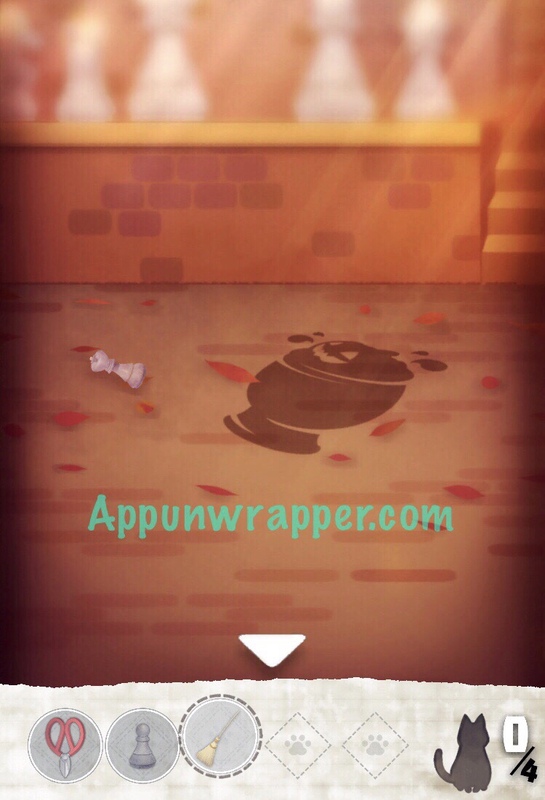 This is a complete step-by-step walkthrough guide with help, hints, tips, tricks, solutions and answers for Stage 5 of the iOS and Android room escape game, Stray Cat Doors, by PULSMO. Feel free to ask for extra help in the comments section. 1. Examine the plants to the right. 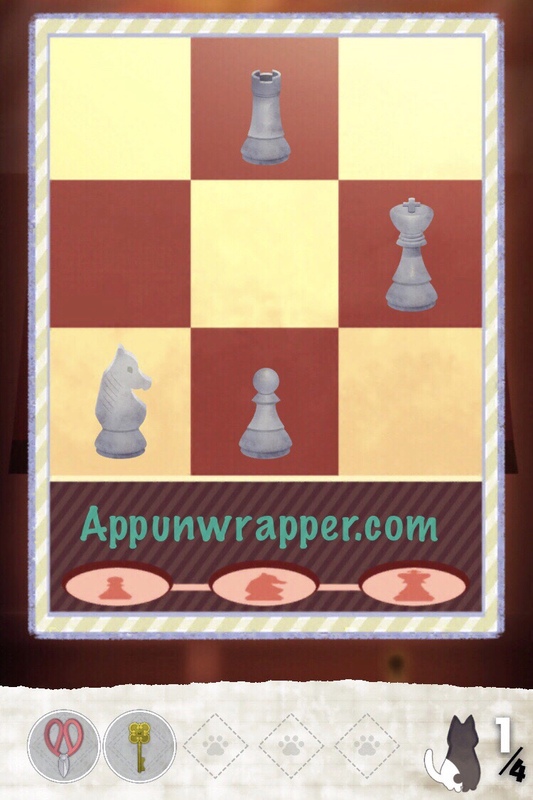 Pick up the scissors and zoom in on one of the plants and get the pawn (chess piece). 2. Zoom in on the door. Take the broom and then zoom back out. 3. Use the broom on the leaves to reveal the king chess piece (pick it up) and a clue. 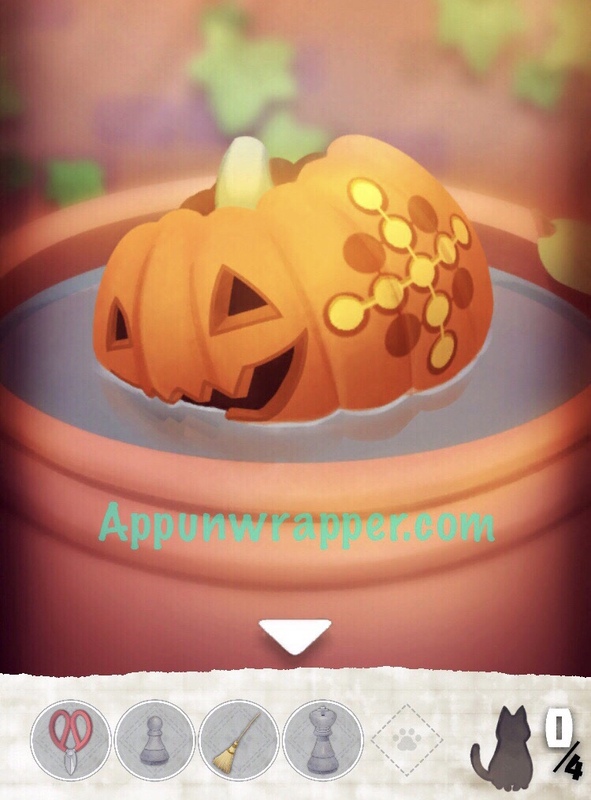 It shows a jack-o-lantern in a planter. Remember it for later. 4. Zoom in on the area to the left of the door. 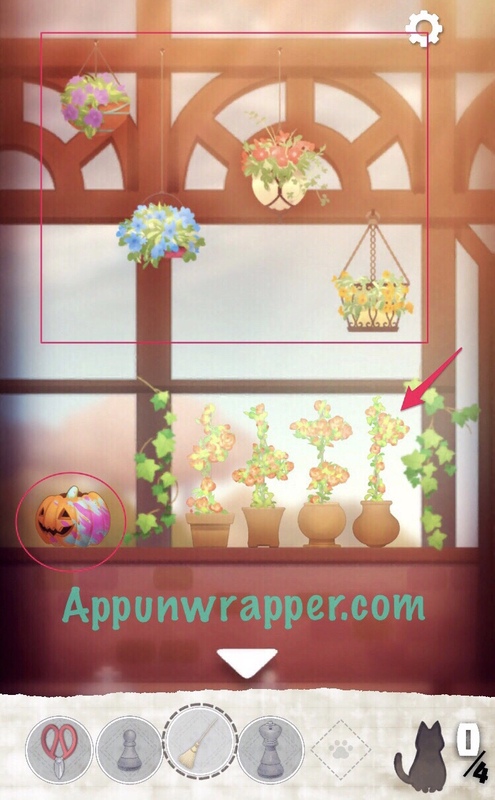 Pick up the jack-o-lantern and make note of the colored hanging plants. It’s a clue we’ll use later. 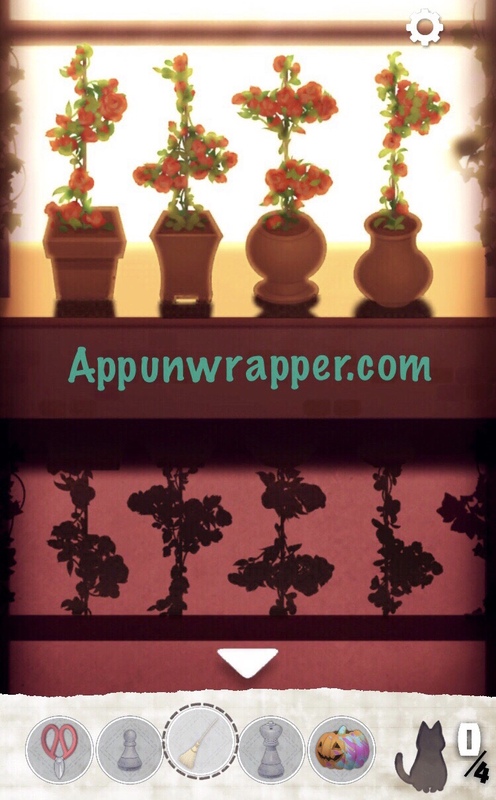 Tap on the lower plants and then rearrange them until the negative space between their shadows spells out the numbers 15235. Remember that for later. 5. As the clue instructed, place the jack-o-lantern in the planter on the right side of the room to at a clue. 6. Go back to the door. There’s a box to the right of it. You need to make the smilies match the pattern you saw on the pumpkin. You can follow my instructions in the photo below. Then take the puzzle piece from inside. 7. Go to the bookshelf on the left. Use the broom to knock down the box from the top of it. Also, open the red book to find a knight chess piece. 8. Examine the box you knocked down. Remember the four colored planters? Note down the colors and the height of them. It goes: Purple, Red, Blue, Yellow. So arrange the flowers on the box like that to open it. Take the flashlight. 9. Zoom in under the couch and use the flashlight to see a key. Take it. 10. Now go to the desk. 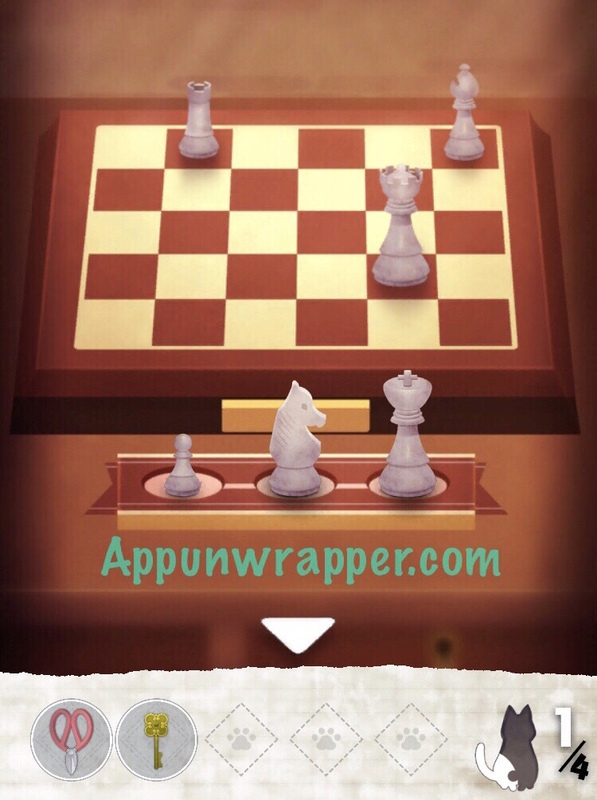 Place the three chess pieces on the table by the board. 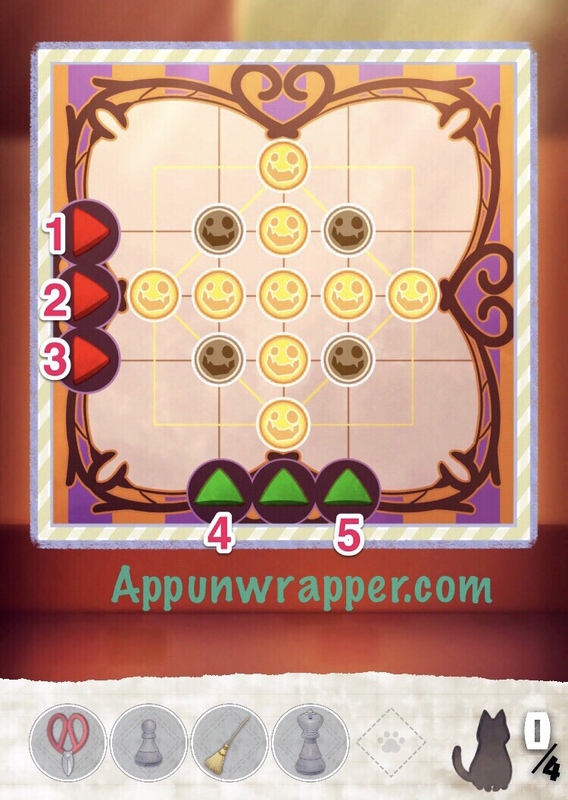 Now, you need to place them on the board to block the rook from being able to move. Take the puzzle piece. 11. 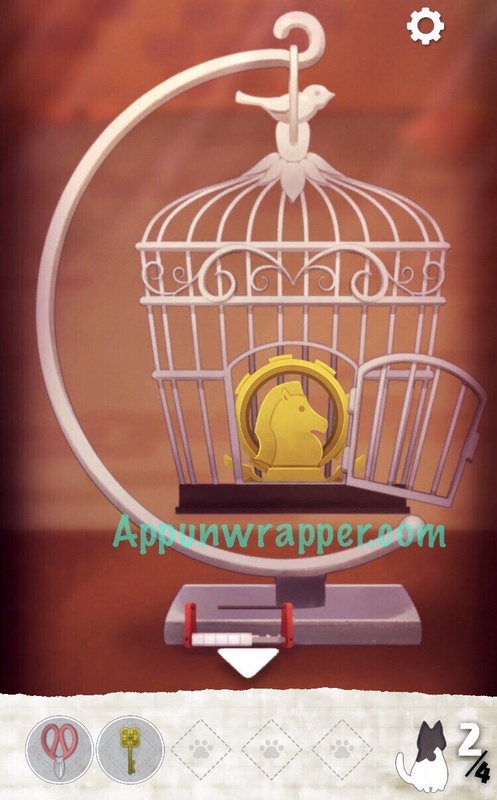 Now, use the code 15235 from earlier to unlock the birdcage and get the knight medallion. 12. 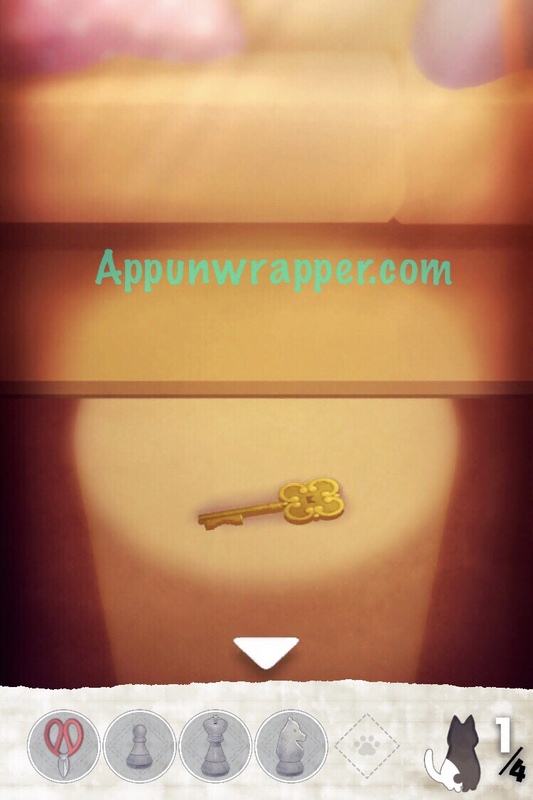 Use the key to unlock the drawer and get another puzzle piece. 13. 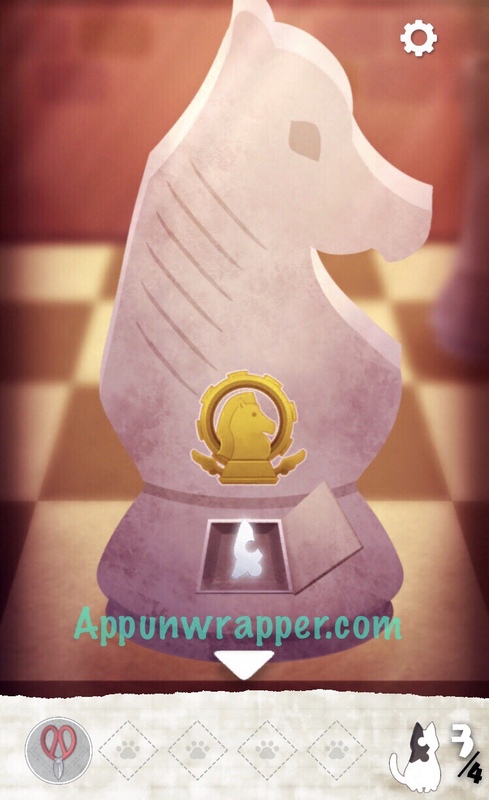 Zoom in on the big chess pieces and select the knight. Place the knight medallion on it and take the last puzzle piece. 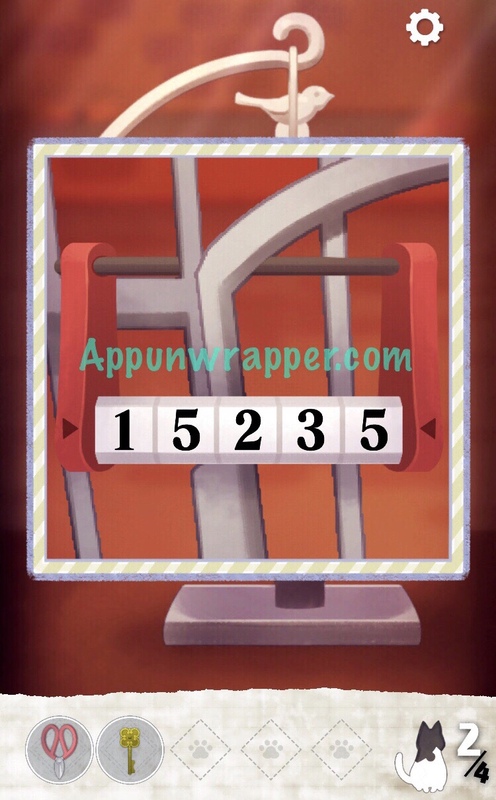 You can now open the door and complete the stage! Congratulations! You completed Stage 5! Click here for Stage 6. … I may be misunderstanding but it seems like you’re trting to get your character to move or perform actions. The character actually does NOTHING. 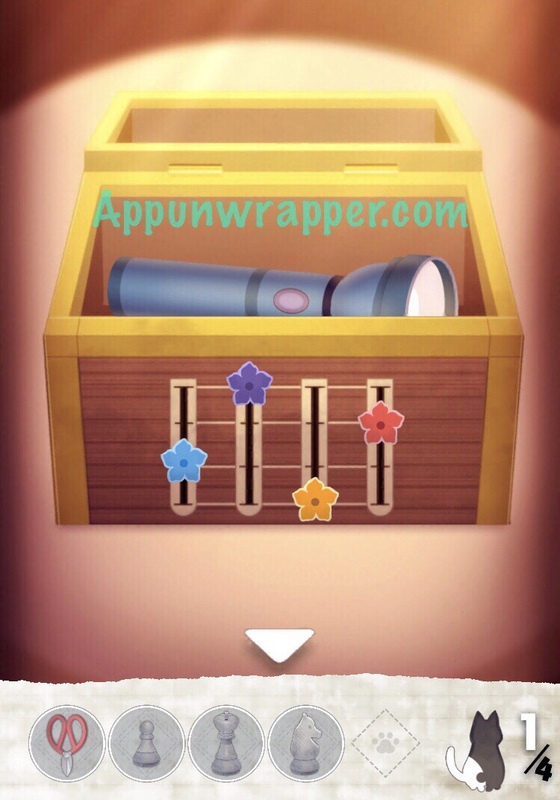 Simply tap your screen on different areas and tap items to collect or interact. The collected items will show up on the bottom of your screen, your inventory. 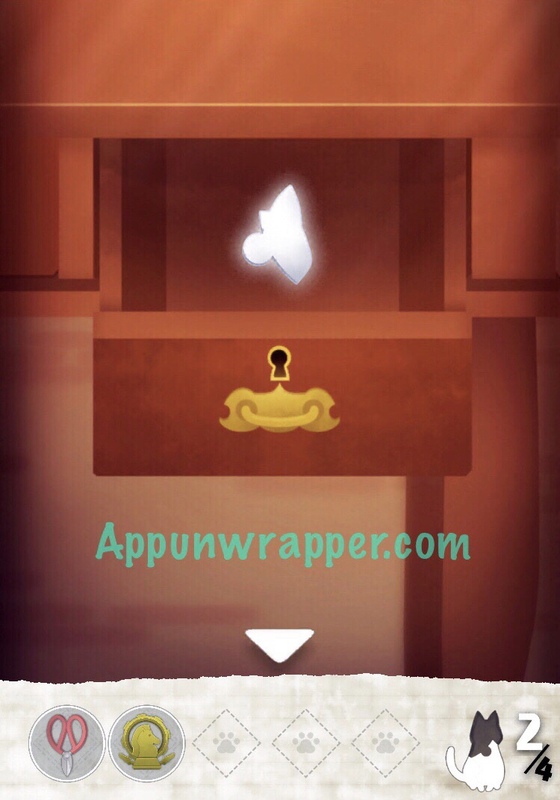 To use collected items, tap them from your inventory then tap the proper placement for them to trigger a sequence.